Captain Hollis Crutchfield is the commander of the Vice and Narcotics, Interdiction, and Business Compliance Units of the Birmingham Police Department. Captain Crutchfield was born and grew up in Birmingham and graduated from West End High School. He received a Bachelor of Science Degree from The University of Alabama in Tuscaloosa in 1976. In May of 1978, Captain Crutchfield started his career with the City of Birmingham Police Department. 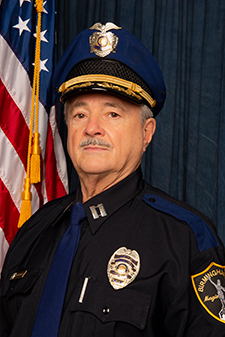 In his forty years of service to the City of Birmingham, Captain Crutchfield has served in every Division of the Police Department.